The wrestling world has lost another legendary professional wrestler, another member of the celebrated faction known as “The Hart Foundation,” and one of the most colorful characters fans have ever had the good fortune of seeing on WWE television. Jim “The Anvil” Neidhart was a tremendous addition to the boom period of pro wrestling in the 1980’s, and certainly one of the most memorable superstars of that era. Jim “The Anvil” Neidhart is best known for his time as one half of The Hart Foundation, which is arguably the greatest tag team in professional wrestling history. Initially, the company put this team together to make Bret Hart happy. However, they ultimately became one of the key parts of the tag division during that era. The six years with Bret Hart were possibly Jim’s best years in the business, and it was certainly his best body of work in the ring. However, due to his career being so attached to Bret and the rest of the Hart family, his skills and contributions have often been overlooked. Teaming with Jim Neidhart is actually what saved Bret Hart’s career in WWE. Believe it or not, Neidhart and “The Mouth of the South” Jimmy Hart were already a team, and it was a reasonably successful act. His size, powerhouse style, and unique look made him much more marketable than “The Hitman,” it fit into Vince McMahon’s image of a superstar. In 1985, characters and promo’s took precedence over work rate, and that’s one of the things people forget when it comes to The Hart Foundation. While Bret Hart led the team in the ring, he was by no means comfortable delivering a promo in front of the camera; this is where Neidhart took over. With his loud and overtop mannerisms, his “yeah baby” catchphrase, and his signature laugh, he made the Foundation as entertaining on the microphone as they were in the ring. However, this did not mean he did not hold his own in the ring, in fact, he brought believability to the team. While Bret Hart was the flashy, technical wrestler and he matched up well with the smaller superstars, Neidhart was able to battle the big boys like Demolition and The Nasty Boys. He could go toe to toe with nearly anyone, which made fans believe in them, and it allowed them to work with every team without any issues. It’s also the reason The Bulldogs worked so well with them, Davey Boy and Neidhart were the power, and Bret and Dynamite were the skill. So many WWE superstars from that era had characters and looks that became edged into the minds of wrestling fans the world over. Whether it’s Macho Man’s colorful attire and raspy voice or Hulk Hogan’s mustache and tight yellow shirts, fans cannot forget the visuals of these larger than life stars. 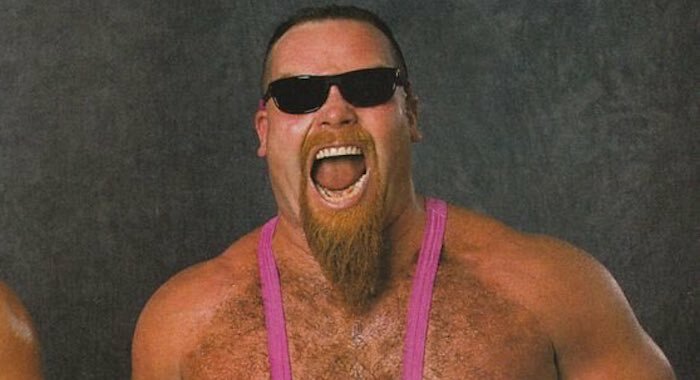 Jim “The Anvil” Neidhart is no different. Neidhart’s pointy ginger goatee is the stuff of legend, and the image of him tugging on it while he talks is even more so. His laugh is unmistakable, and this combined with the pink attire made him all the more captivating to watch on TV. Also, all of this combined with wild promos like his “25 percent” rant against Jimmy Hart made him another unforgettable character from that era. And over the years, through DVD’s and live Q & A’s (which I have been fortunate enough to attend), stars like Bret Hart have shared stories that proved Jim was as much of a character in real life as he was on-screen. These stories made him all the more loveable and fun in the eyes of most fans as they were actually able to see a glimpse of the real person on WWE TV. It’s always heartbreaking to fans and wrestlers to lose another performer who was a part of so many wonderful moments, a man who was a part of so many childhoods and entertained people from all around the world. And while Jim “The Anvil” Neidhart may not be given as much credit as he deserves when it comes to some of the great teams he was a part of, he will never be forgotten as he will go down as one of the great characters in wrestling history.